Alright, everyone. I've been procrastinating long enough, and wasting enough time on my videogames blog (which had to be moved to a new home...that was fun) and intermittant writings for the upcoming No War 4 Empire book. 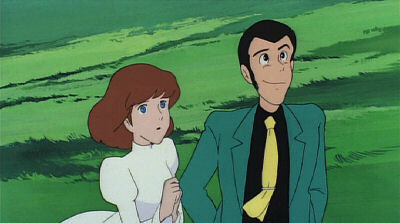 It's time to delve into Manga Entertainment's new DVD release of Lupin III: Castle of Cagliostro. 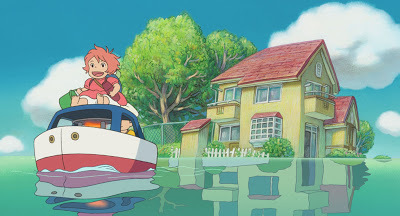 For ease, I will assume everyone visiting Conversations on Ghibli is already familiar with Miyazaki's 1979 directoral film debut. You shouldn't need to be told that this is a magnificent movie, a heady mix of slapstick, spy intrigue, and quiet introspection that grows with repeated viewings. You already know that. The best thing about the new DVD is the picture quality. It's fantastic. I can't imagine what possesses the movie industry to attempt to sucker the public with a new DVD format war when the current discs continue to improve so dramatically. Oh, wait, that's right - they're greedy bastards who take us all for suckers and chumps. It's the same reasoning that leads Sony to sell its Playstation 3 for $600. Anyway, I'm getting away here. The important point is that the new Cagliostro looks far superior to the old Manga release. I'm assuming this is the same source as the Japanese Region 2 disc, which is lauded for its vibrant picture quality. The resolution is higher, supporting widescreen televisions, and offers a far sharper, richer, more luminous palette. The above screenshot is a perfect example. I think one reason Westerners thought of Cagliostro, somewhat dismissively, as an "old" movie was because the old DVD was so washed out and worn. 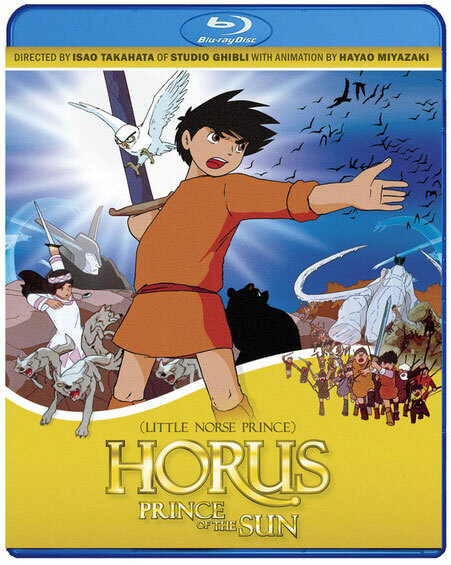 Manga's old release used a 35mm film print which had clearly seen some mileage, and there was extensive color tweaking in order to cram it into a single-layer disc. Even the cigarette burns (which announce the next reel change for the theatre projector) are left in. That wasn't something that bothered me, since I prefer to see movies on the big screen, where they belong. 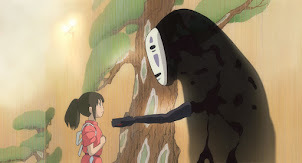 This new version looks as sharp as any of the recent Studio Ghibli DVD's. It really is a dramatic improvement, and it really only becomes evident in motion. I've tried my best with screenshots, but you have to watch the film to see how much cleaner and brighter it all is. Thankfully, the excellent subtitles, the hallmark of the earlier release, is still here. That was the plague of the R2 DVD - the subtitles were taken from the English dub, which, as usual, took considerable liberties with the script and made a complete mess. Now, it seems we're finally getting the best of both worlds. Moving onto to the DVD features, we see an impressive, if over-indulgent, animated main menu. It's better than the old one, although I'm still wondering why no one follows Criterion's lead of DVD menu design. Keep it simple, stupid - that's the rule. The other menu screens are impressive, include musical samples, and are fairly responsive. On the flip side of the disc (yes, you have to flip the disc over), you will find the complete storyboards to the movie. 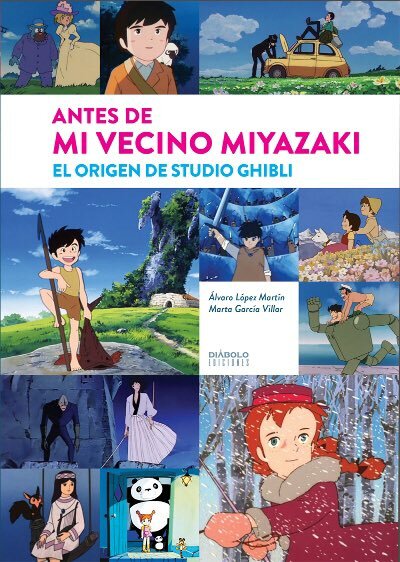 The e-konte was drawn by Hayao Miyazaki, and this is our first opportunity to see his artwork, how it contrasts with Yasuo Otsuka's visual style, and how the scenes were assembled. This is a feature that's included with all the Ghibli DVD's in Japan and the US, so I'm glad that Manga included them here. 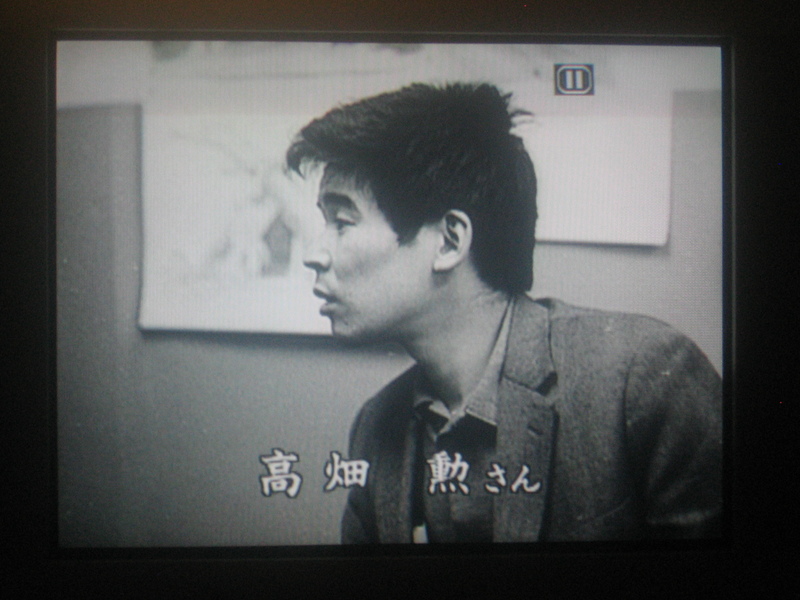 The final extra is an extensive interview with the great Otsuka, in Japanese with subtitles. It runs for about twenty minutes, and Otsuka discusses a number of topics. It's always a thrill to hear words of wisdom from the old master, and if you've been fortunate enough to see his documentary DVD, you'll feel right at home. 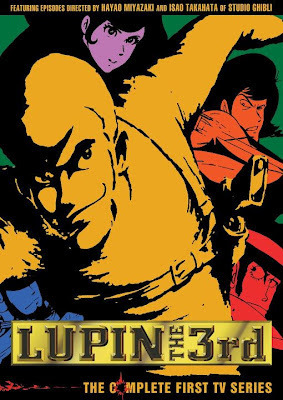 In addition to serving as Animation Director, Otsuka was one of the key figures in Lupin animation, going back to the original pilot film and subsequent 1971-72 TV series (on which Miyazaki and Isao Takahata also worked). There are two problems I have with the new Cagliostro; one minor and one major. The minor complaint is simple. I'm not very fond of the box design. I'm glad that a cardboard overlay is included, much like Disney's later Ghibli DVD's, but the artwork is somewhat lacking, especially on the back side. 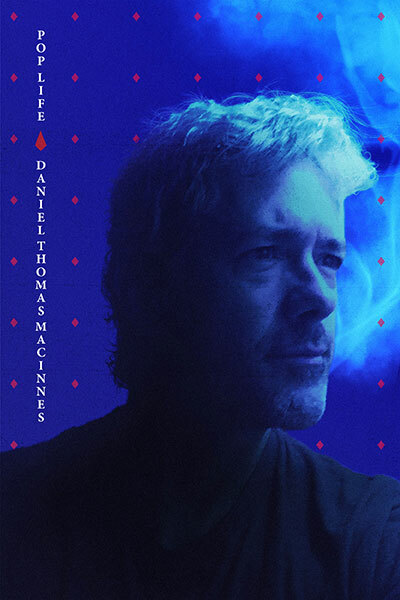 I would have much preferred the original movie poster, which is pretty dynamic and sure to grab attention. I know, I know, this is minor stuff. 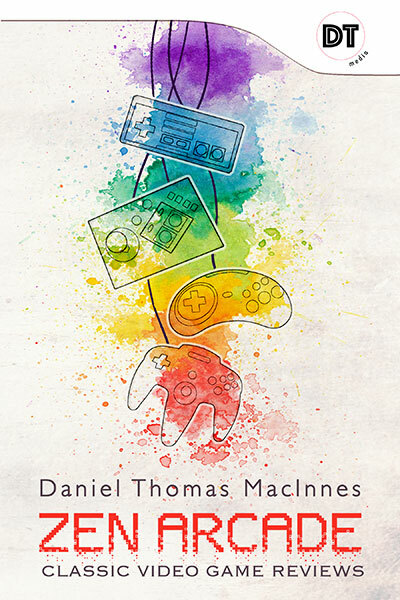 Still, it looks a little amateurish - three different fonts for the title and whatnot. Now onto my major complaint, and this is something that left me hopping mad upon first viewing. Maybe it won't affect you as much, but it does for me, and here it is: the movie's title sequence has been cut out. 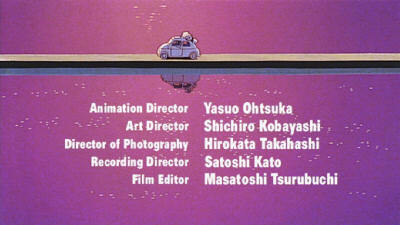 The title sequence, the film's third scene, shows the credits over a montage of Lupin and Jigen travelling through the countryside by car. It's a terrific sequence, a memorable one, and one that subtlely sets the tone for the entire movie. Manga completely chopped it out, and in its place, gave us a collection of still shots from the scene, with english credits overlayed. I'm sure this was the reason why they made the edit. That is no excuse. There is no excuse whatsoever for cutting this movie, or any movie. This was once a common crime of American anime distributers. They felt it was their duty to cut, edit, and otherwise make changes to the original works as they saw fit. It was an attitude steeped in the notion that animation, and especially Japanese anime, was not really respectable cinema. These are just silly kiddie cartoons, anyhow. It's not different from editing Bugs Bunny cartoons for broadcast on Saturday-morning TV. I thought we were past this. 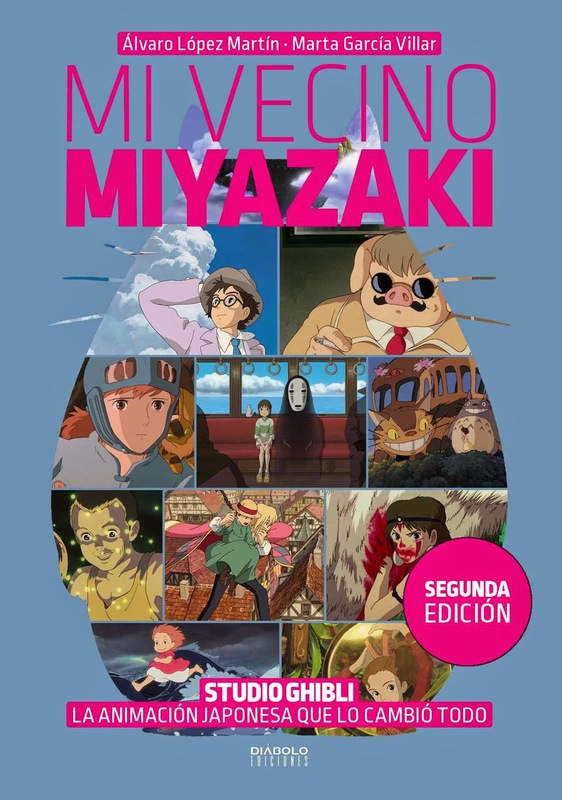 I thought we had finally accepted anime, and certainly the works of Miyazaki, that we would no longer tolerate cuts. We all remember the Disney-Tokuma deal, right, kids? What is Rule Number One? No cuts. Again, I cannot say if this will prove as serious an issue for you as it has for me. Everyone is entitled to their own viewpoint. I'm also aware that I'm quite stubborn on the subject. But, dammit, Manga, you chopped up one of the best scenes in Cagliostro. It was a scene that was left perfectly intact in the previous DVD release, and there's no reason why you needed to tamper with anything. There's no excuse. Put simply, it is not your damned movie, and you don't have the right. So, finally, where does that leave us? How does everything stand? I cannot in good conscience reject the new Calgiostro DVD because of the credits, especially when everything else is so excellent. But I'm obviously angered and disappointed by this move, which prevents this release from true greatness. It's an unnecessary mark. So here's what I recommend for you: buy the new Cagliostro DVD, but make sure you also own the older DVD release. 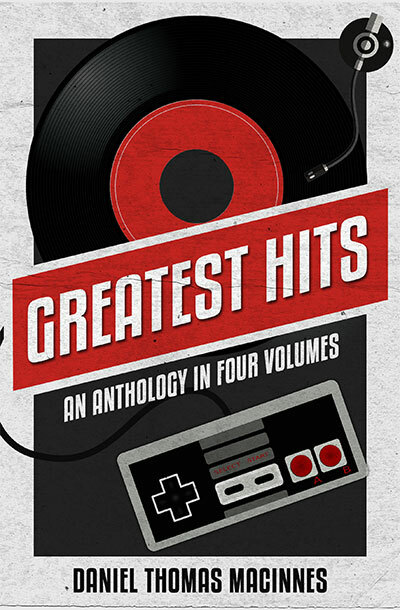 I'm assuming it will go out of print, so buy it if you haven't yet done so. Keep both versions. Yes, I know. It's indulgent, but it's just as I've said. I'm stubborn. I'm an artist. They cut the title sequence? That was one of my FAVOURITE parts! I thought about it, and I think the reason they went with still is because they wanted to overlay english credits over the opening sequence, and it wasn't possible with the animation. They only way they could do it was by grabbing stills of the scenes in-between credits. Of course, why they couldn't just work with the english credits at the end, I don't know. I've always considered intrusive text overlays to be completely insane. Especially when they digitally "paint" english text over Japanese text with some generic font that is nothing like the original. Remember, it's not entirely Manga's fault. This is how Tokyo Movie Shinsha provided the film to them. They're the ones who made the substitution, not Manga. 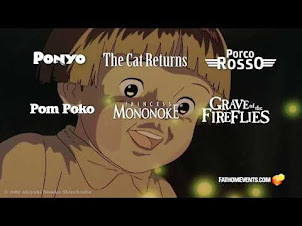 Granted, Manga should have tried a little harder, should have gotten permission to stick the opening titles on as an alternate angle—you'd think they would have leaped at this, given how much their box art impersonated Disney already—but the lion's share of the blame should be heaped on TMS's heads. Imagine a publisher altering the typography of Apollinaire's Calligrammes.. and then imagine the lynch mob. I just recently got the UK Optimum release of this DVD, and checked out the intro scene as soon as possible. On this version, the intro is entirely untouched, which is nice. I don't believe this edition of the DVD has that Yasuo Otsuka interview, though. Instead we get an introduction by Jonathan Clements.